Protect Your Home from Fire. Leaving food cooking on the stovetop unattended. Leaving burners or ovens on after cooking. Placing combustible materials too close to heat sources. Wearing loose-fitting sleeves near hot burners. 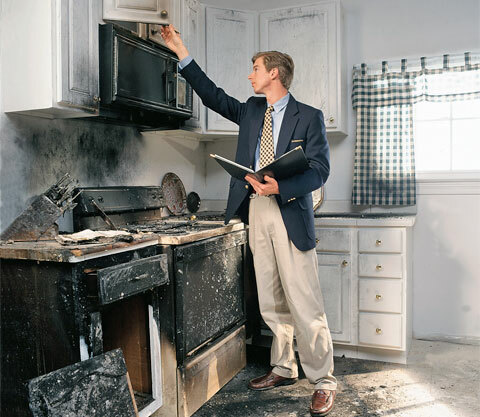 Electrical: Electrical fires are particularly common in older homes where the wiring doesn’t always meet today’s safety standards. The main causes of electrical fires are incorrectly installed wiring and overloaded circuits and extension cords. Switches or outlets that are hot to the touch. Discolored cords, outlets and switch plates. Repeated blown fuses or tripped circuit breakers. Space heaters: Allow plenty of open space on all sides of space heaters. Use only space heaters with a “tip switch” that automatically shuts off the unit if it is tipped over. Candles: Place candles on stable furniture where children and pets cannot knock them over. Never fall asleep while candles are burning. Keep candles away from holiday decorations, curtains, clothing, bedding and lampshades.